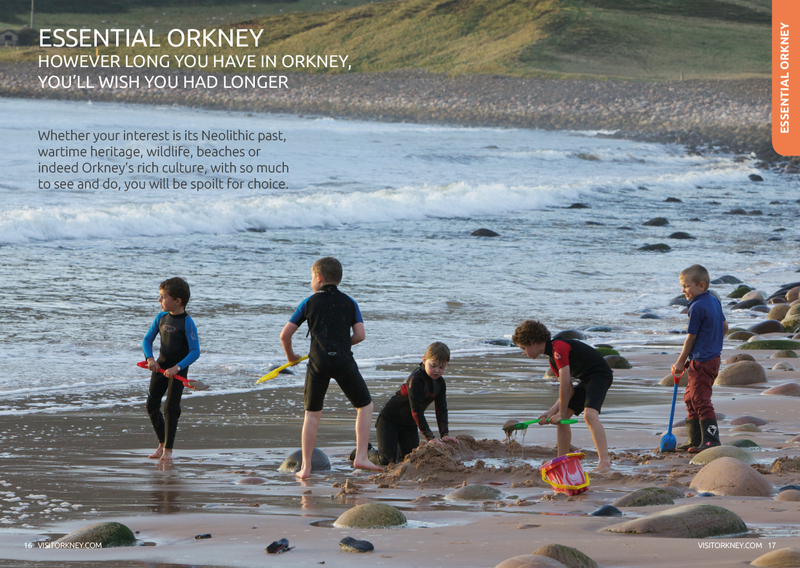 Orkney Tourism Group (OTG) has a target to grow tourism spend in Orkney from £31 million (current figure) to £40 million by 2025. 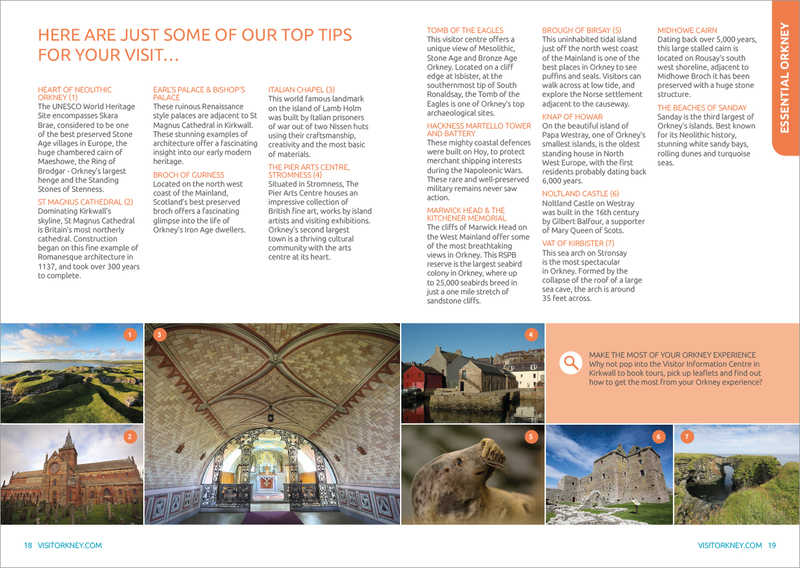 Based on its strong destination marketing portfolio, //evolution was commissioned to work with OTG, to revitalise its main visitor collateral - the Visitor Guide and the Insider Guide, blending traditional and digital channels, to maximise engagement. 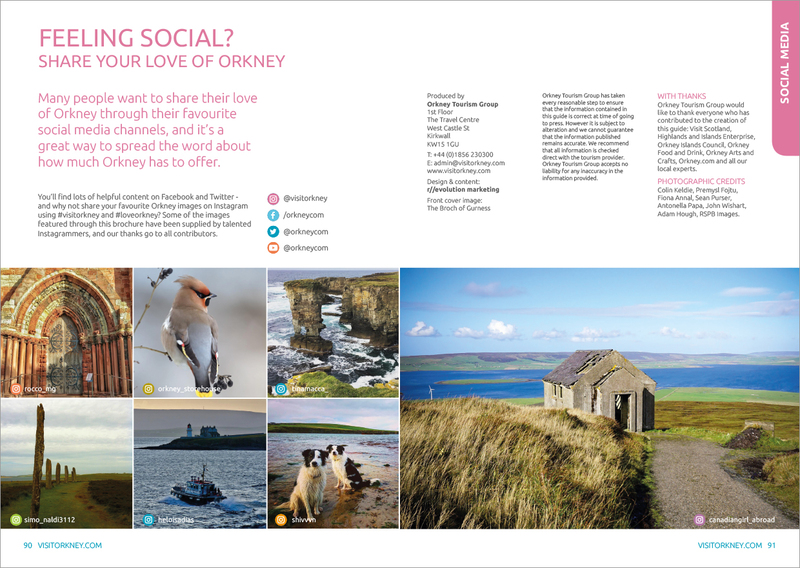 Under the campaign theme 'Footprints in Time - reference to Orkney’s world class heritage offer, including the Heart of Neolithic Orkney World Heritage Site - a new creative concept was developed, to address both Orkney’s established visitor demographic and to attract a younger audience. 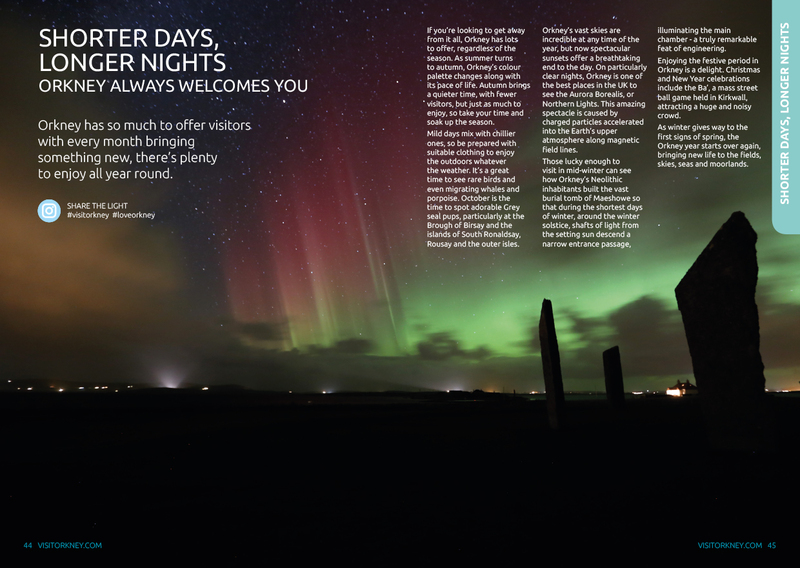 In addition, Orkney’s rich cultural offer has been positioned to grow visitor numbers throughout the shoulder season. As part of this project, a bespoke online booking management system was developed to facilitate the advertising sales and processing of advert artwork. Does your brand leave a lasting legacy? Discover powerful, creative design for your business. We deliver the very best brand identities.